Another month…another British #brownbeauty entrepreneur feature! 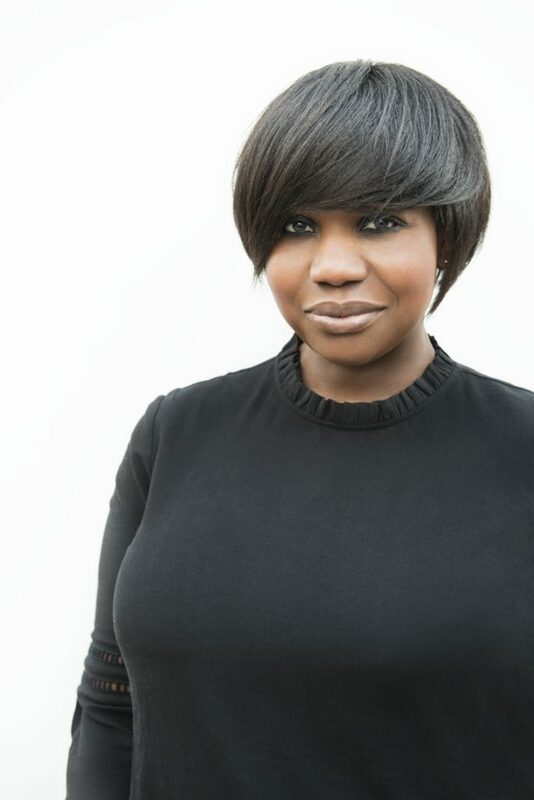 This month, it is an privilege to feature the award winning stylist, salon owner..and now product developer Charlotte Mensah! 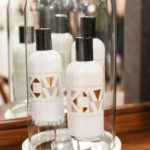 Charlotte launched her debut haircare line – the Manketti Oil Hair Care Collection in March. The three-strong product range, comprising Manketti Oil Shampoo (250ml, RRP £18), Manketti Oil Conditioner (250ml, RRP £18) and Manketti Oil (100ml, RRP £36), has been carefully created to deliver moisture to all curly hair types, but without the weight. Ethically and sustainably sourced from Manketti Nuts which grow on mongongo trees in northern Namibia, Manketti is loaded with Vitamin E (around 563mg per 100g of shelled nuts) and a plethora of nutrients including calcium, magnesium, protein, zinc and copper. Unlike coconut oil that is higher in saturated fatty acids or monosaturated jojoba oil, Manketti is high in polyunsaturated fatty acids, which act as a barrier to help prevent moisture from escaping from the hair for longer. 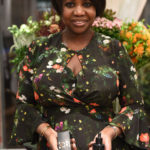 Although I was unable to attend the launch event at her Notting Hill salon, I caught up with the hair connoisseur and asked her a few questions about the evolution of her entrepreneurial journey! I’m a passionate and dedicated woman wanting to make a change in the industry that I love. I started by serving my apprenticeship in one of London’s leading Afro salons in the late 1980s, under the tutelage of legendary Winston Isaacs, and followed by setting up my own salon. I’m recognised for my flair in embracing natural hair textures and through recent years, I feel like I have progressed in the hair industry with my celebrity clientele, press opportunities and launching my own Charlotte Mensah Manketti Oil product range. I’m very proud to have scooped a number of the biggest accolades in Britain, but as much as I’m concentrating on my career, my family life is very precious to me. I am a dedicated mum of two so this part of my life along with my faith keeps me grounded. As a fiercely proud Ghanaian, I also visit Africa to train young hairdressers in the art of hairdressing. 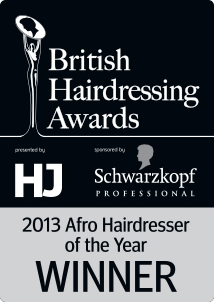 I set up Hair Lounge in 2003 and we pride ourselves on expert Afro styling. My team have an incredible understanding of the unique textures of Afro Hair. We offer relaxers, impressive cuts, beautiful colour and bridal services, as well as canerowing, micro braiding and Keratin treatments, including my bespoke Charlotte Mensah Manketti Hair & Scalp Treatment. We recognise the rise in women returning to their natural textures, so we celebrate this and offer Natural Hair Styling to help ladies to love their natural tresses. Hair Lounge has been named Afro Salon of the Year twice by the prestigious Hair Awards. 2. What was the inspiration behind developing your own line of products? 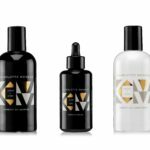 Being in the hair industry for over 26 years, I noticed the need for premium products that keep hair moisturised, but without the heavy, oily finish found with existing ranges. When I discovered Manketti Oil, which has been used in Africa for centuries and is one of the richest, most hydrating ingredients that nature has to offer, I knew this was the oil that could achieve what I was looking for so I decided it would be a key feature in my collection. Now, after six years of research, development and testing, my product range is poised to deliver moisture, softness, definition and shine to Afro, mixed-race and all curl hair types, whilst still allowing weightless movement. 3. You have garnered many awards over the past few years. How important have these been to your continued success? Awards are incredibly important as they can put you and your business on a global stage. They are also a golden ticket of recognition, not only by your peers but also by the industry, so they certainly help. I have always strived not only to be the best in what I do but also to create visions of beauty. I’m so fortunate to be working with textured hair and pushing the boundaries further to set a benchmark for future Afro stylists to surpass. 4. How do you keep on top of the latest styles, trends and techniques? Even though styles and trends keep evolving, the actual techniques haven’t changed. I get my inspiration from my travels and the women that I meet in my salon on a daily basis. 5. What has made you most proud during your entrepreneurial journey? What have been the challenges? 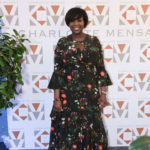 My proudest moment to date has to be launching the Charlotte Mensah Manketti Oil range. There were so many obstacles that I encountered but I believed that I could succeed and found ways through the different obstacles. I’m thankful to God for giving me the strength, wisdom and guidance. So “if you can imagine it, you can achieve it; if you can dream it you can become it” (William Arthur Ward). 6. What 3 tips would you give to aspiring entrepreneurs who wish to follow in your footsteps? 1. Have a vision for something and a desire to create it! 2. Believe that you can succeed!